A man suffered bruising to the eye and a dislocated shoulder after he was assaulted in Bridlington. The incident happened some time between 7.30pm and 8pm on Thursday July 23 at the junction of Quay Road and Station Approach in the town. 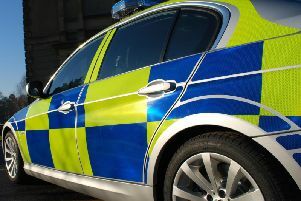 The 42-year-old man was with his teenage son when they were approached by three men who began shouting at him before one of the group punched the 42-year-old, causing him to fall to the ground and sustain his injuries. The injured man received treatment at Scarborough Hospital and police are now investigating the assault. Unfortunately there are no descriptions of the three men involved but anyone who thinks they may have been in the area at the relevant time and seen anyone who was involved in the altercation is asked to contact Humberside Police on 101 referring to log 591 of July 23 2015 or Crimestoppers anonymously on 0800 555 111.